We have all heard about reducing our carbon footprints to save the environment. As responsible dog parents, we should also try to help our dogs reduce their "carbon pawprints". You may wonder, as an individual, what you can do to help protect the environment and, at the same time, enjoy having the company of a dog (or two). The best way to reduce your dog's direct impact on the environment is to be mindful of the environment in every aspect of your dog's life. As dog parents, we all base our choices of dog food, treats, toys, and other dog supplies on what is best for our dogs. As "green" dog parents, we should also base our choices on what is good for our environment. select and buy only from environmentally-friendly pet companies that are making a difference for the planet. Of all the organic dog products, perhaps organic dog foods and treats should be the first to be considered. They are good not only for the dogs, but for the environment as well. Natural food and treats are made without harmful chemicals such as artificial flavors, colors, chemical preservatives, etc. 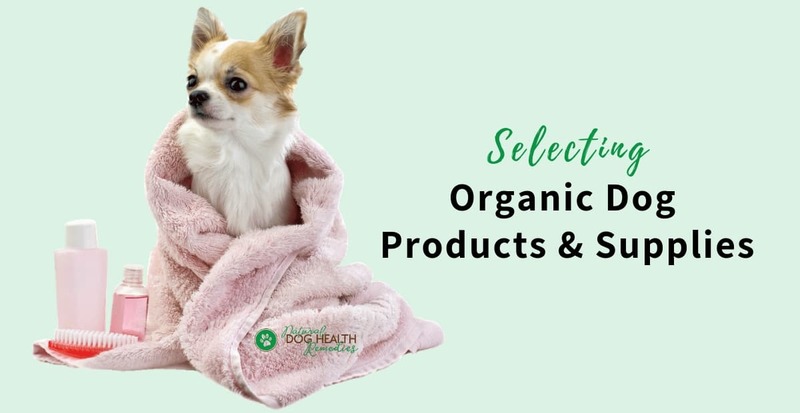 Not only are these additives bad for your dog, they are also bad for the environment, as each synthetic ingredient is produced with its own carbon footprint. Keeping the ingredients list simple helps keep the environmental cost of producing the food down, for a smaller carbon pawprint. In addition, organically grown food ingredients are certified to have been produced without any synthetic additives like herbicides, pesticides, hormones and antibiotics. All these chemicals not only have a high cost in terms of environmental impact, but also in terms of our dog's health! 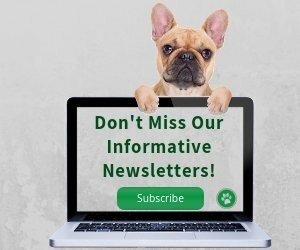 Click here and here for some examples of excellent natural dog foods and treats. Dog toys and beds are also products that are "musts" for our dogs, so it is important that we "go green" on these products as well! Look for toys and beds that are made with organic materials (like organic cotton, or hemp fabrics). Dog products like dog beds and toys made from sustainable crops like hemp help the environment greatly, as hemp is produced with little or no pesticide use. Conventionally grown cotton accounts for about half of all the pesticides used worldwide. Choosing products made from recycled fabrics, hemp or organic cotton is another way to help reduce the global impact of pesticide use. Besides the product itself, also consider the packaging of the product. Less packaging means less waste; packaging made from recyclable materials ease our landfill burden. If the product itself is also made from recycled materials, so much the better! These cute plush toys are made of organic fabrics which are unbleached and unprocessed. The dyes are all natural as well - they are made from plant and mineral extracts (such as gardenia seed, clove and chestnut bur). 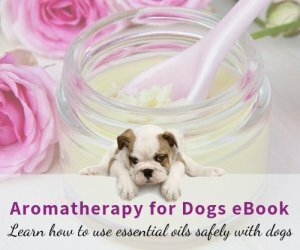 Very safe for your doggie! These organic pet beds are filled with 100% certified organic cotton and organically grown buckwheat hulls. The fillings are sewn inside separate chambers. This design allows your dogs to customize their bed to their own special shape, and ensures years of comfort. Whenever possible, choose cleaning and grooming products that are natural and non-toxic. Synthetic ingredients have long been used in human and pet products. Evidence of the negative impact of these ingredients on the long-term health of the environment, people and our dogs is phenomenal. Trends over the past few decades are revealing a significant increase in health problems, such as autoimmune diseases and reproductive impairment in both people and animals, and scientific evidence points to synthetic residues as a primary cause. Choosing non-toxic cleaners and grooming products reduces the risk of damage to our earth's ecosystems, wildlife, and our dogs and families, too. ONP organic shampoo and conditioner contain 70% organic ingredients, including herbal extracts of Calendula, Chamomile, Yucca, Kelp, Gingko and more which condition the coat and soothe the skin. DO NOT contain sodium lauryl sulfate (SLS), sodium laureth sulfate (SLES) and paraben. BioBag Dog Waste Bags are the world's first biodegradable and compostable poop bag! They use no polyethylene in the production process and are fully certified by the Biodegradable Products Institute to be 100% biodegradable and 100% compostable. They're dog and planet friendly! This natural product contains aloe vera, coconut extracts, and a blend of essential oils that quickly eliminate odors and stains from carpets and wood flooring. The product does not contain toxic substances and chemicals such as phosphates, parabens, sodium lauryl sulfate (SLS), sodium laureth sulfate (SLES), and other preservatives. An environmentally-friendly, safe, and effective product. What more can you ask for? Feeling overwhelmed? You are not alone! 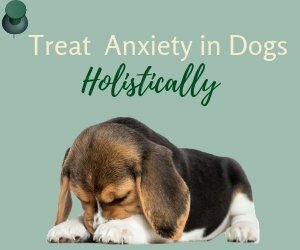 I am sure many dog parents who would like to go green will feel overwhelmed having to consider all the options as to how to protect the environment as a consumer, dog parent and planetary citizen. Remember, you don't have to do everything all at once! You can show your awareness, intention and commitment to a greener lifestyle by making one green choice at a time. When everyone takes one small step forward, our efforts are multiplied.